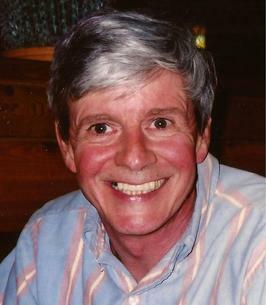 "Those we love don’t go away, they walk beside us every day, unseen, unheard, but always near, still loved, still missed and very dear..."
John Patrick Regester, 68, peacefully passed away August 31, 2018 in Lake Geneva, WI. John was born October 28, 1949 to Robert and Mary (Anderson) Regester in Oak Park, Illinois. He graduated from Delavan-Darien High School. He married his longtime sweetheart, Linda Bokina, on October 16, 1971 in Chicago, Illinois. He was blessed with five daughters, Rhonda (Bob Winters), Rebecca (Luke Kuchenberg), Christine (Adam Wen), Jacquelyn (Sean Brauser), and Jessica and eight grandchildren (Dillon, Matthew, Jackson, Lauren, Porter, Sophia, Grant and Josie). He has five siblings: Roberta (North Port, FL), Robert (Lakeland, FL), Edward (Brookfield, IL), William (deceased) and Joseph (Delavan, WI). He was a beloved son, brother, uncle, brother-in-law, dad, and friend to all. John enlisted in the United States Navy in 1967. He proudly served during the Vietnam War. He was stationed at Barber’s Point, Hawaii and Adak, Alaska while serving in Naval Aviation earning his 2,000-hour flight pin. As a crewmember of Patrol Squadron 4, he flew in P-3’s patrolling over the Pacific. One of his greatest naval memories was when his unit was assigned to protect airspace during the descent of the Apollo 13 mission. He was a member of the Frank Kresen American Legion Post 24 in Lake Geneva. John worked for Sheridan Springs Coca-Cola Bottling Company for 19 years. John and Linda later owned and operated The Original Chicago Pizza Company in downtown Lake Geneva for 22 years. He nurtured good work ethic and mentored young locals throughout the years. He made many relationships throughout Walworth County that are still evident today. 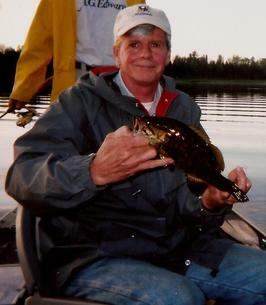 Self-titling himself “King of the Walleye”, John never turned down the opportunity to throw a cast or sit in the woods. He was an avid outdoorsman and loved a good practical joke. He always knew how to tell a good story, loved a good game of poker, and never failed to make us laugh! Visitation will be held at Steinke-Lazarczyk Funeral Home Funeral Home (515 Center Street, Lake Geneva) on Thursday, September 6, from 2pm-8pm and at St. Francis de Sales Church (148 Main St, Lake Geneva) on Friday, September 7, from 10am-11:45a.m. with Mass of Christian Burial at 12 p.m. Burial will be on Monday, September 10, at noon at the Southern Wisconsin Veterans Memorial Cemetery with military honors. Anchors aweigh...deal me in...gone fishing! Memorials may be made to VetsRoll or Wisconsin Honor Flight. Steinke-Lazarczyk Funeral Home, proudly assisting the family. 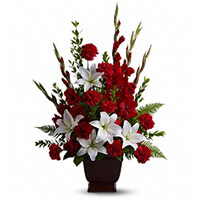 To send flowers to the family of John P. Regester, please visit our Heartfelt Sympathies Store. JOHN WAS A GOOD MAN AND A GOOD BOSS. HE ALWAYS TREATED ME WELL AT THE ORIGINAL CHICAGO PIZZA RESTAURANT. HIS FAMILY ARE GOOD PEOPLE. SO SAD TO HEAR ABOUT THIS LOSS. R.I.P. SENDING OUT WARM THOUGHTS TO HIS FAMILY. My condolences, I am so very sorry for your loss. All these years of being involved in Johns care I feel like I lost a friend. Dear Register Family, My deepest sympathy in the loss of John. May the memories of his life bring you peace. I am so very sorry for your loss. John knew me as Bunny and I was his nurse at Lakeland Hospital many times over the years. We had a lot of little visits during those times and I truely grew to love and respect him for his strength and courage. Even when he was miserable he was polite and kind. I am saddened by his loss but am confident he has been enfolded by the loving arms of God and welcomed into eternal life and happiness where he will never suffer again. I will remember John and his family in my daily prayers. Your father was an amazing man, we feel privileged to have known him. We know all of you will miss him deeply. We’ll be keeping you all in our thoughts and prayers. Cousin Linda, so sorry to hear about John. I remember him taking us for rides on the lake in his speed boat when we were kids. My thoughts are with you and your daughters. We are sorry for your loss. John will truly be missed by us all. Our condolences. To Linda and family, Our thoughts and prayers are with you during this difficult time. May your tears be replaced with smiles as you remember how much a gift he was too all of you.